Has the Arab Spring Come to Jordan? For a whole week now, Jordan has been shaken by nonstop waves of protests against the draft law on reforming tax reform, for which the IMF lobbied for adoption. This reform calls for significant growth in the income tax. As a result, from June 1 prices in Jordan have already risen 5.5% for natural gas, 16.4% for gasoline, and 19% for electricity. According to data of Jordan’s Ministry of Finance, at the end of 2017 the national debt stood at 38.5 billion dollars or 95.3% of GDP. By 2021, the IMF’s proposed measures should reduce Jordan’s national debt to 77% of gross domestic product. Clearly, once again the familiar scheme for “honest” fleecing of money from a government, conceived back in 1982 by Professor John Williamson of the Institute for International Economics, has shown itself. In the USA’s government and among its financial elite, this arrangement, by which the IMF today plunders whole countries, has received the name “Washington Consensus.” In just recent years, the IMF’s interference in international economic politics has resulted in the ruin of countries, such as Argentina, Ireland, Spain, Greece, Yugoslavia, and Somalia. The IMF pursues truly just one goal – impoverishment of weaker states with the subsequent appropriation of their assets. Moreover, this is done in favor of the United States of America, whose leading role in the IMF brings Washington colossal benefits. At the same time, the IMF does not give money for commercial projects, but provides funds exclusively for structural modernization of an economy, and the machinery of government as a whole. The resignation of Jordan’s Prime Minister Hani Al-Mulki, and appointment of Omar al-Razzaz, who must form a new government, has not helped stem the growing wave of protests. Jordanians feel that they are in dire need of modern electoral legislation. That must be formulated with the participation of all the country’s political forces. Jordanians understand that the majority of their problems arise from politicians. Acute attention is devoted to reformation of the system, yet Jordan, like other Arab kingdoms, is an absolute monarchy. The king holds the reins of power, and exercises authority, which covers all institutions of government. He also has the ability to dissolve the elected legislative branch. “Color revolutions” in Tunisia and Egypt have already swept aside such authoritarian rulers, who did not resolve socioeconomic problems of their own people. Has Jordan’s time come? There is a real, possible variant for development of events, where Palestinians, who comprise up to 70% of the country’s population, would take power. This would benefit Syria, Russia, and Iran. Americans do not want this, but they don’t have additional money for Jordan. Saudi Arabia doesn’t have any either. Today, the Hashemite Kingdom’s Treasury plainly has no money. With a budget of approximately 9.2 billion dollars, into which Saudi Arabia contributes 1.2 billion dollars of direct financial assistance, the annual deficit is over 2 billion dollars. Jordan’s population is 8 and a half million. After the USA’s occupation of Iraq, more than half a million Iraqi citizens arrived here. And after 2011, nearly one and a half million refugees from Syria have come, which has created a huge additional burden on the socioeconomic infrastructure of the country. At all international forums, Jordan’s King Abdullah raises the Syria refugee question, and requests money and other types of aid. But the country is reaping the fruits of its own irrational and hostile policies directed against Syria. By inciting the civil war in Syria, together with the Arab monarchies of the Persian Gulf, Jordan has received a flood of refugees, meaning, the boomerang effect has hit. The country has voluntarily become the rear base for Syrian bandits and terrorists. Several training camps have been created on Jordanian territory, in which the Americans, British, and French train militants, and via its territory supply the militants with weaponry, munitions, money, and people. Jordan has turned into a large American military base and, to a great extent, depends politically and financially on the USA, Britain, and Saudi Arabia. Why just now has Jordan received this “black mark” in the form of an IMF recommendation? Everyone for sure has memories of the “Arab Spring” in other countries, which passed by Jordan at that time. Under conditions of its geographic location Jordan’s policies acquired distinct characteristics. While playing off the ambitions of the USA and regional countries, which needed their own stability and understanding of the situation with local conflicts, for many years the Kingdom received humanitarian aid, weaponry, and support for its economy (including IMF credits), army, and functioning of government institutions. Pursuing this same logical course, during the period of 2011 – 2017 Jordan succeeded in receiving nearly 1.2 billion dollars of financial and military assistance for its role as one of the staging areas of the coalition’s battle against Daesh. The realities of 2018 however have created a new picture of distinct dominance by the American-Israeli-Saudi Arabian “axis” in the Middle East. And if previously Jordan was for all intents and purposes the cornerstone of stability in the Palestinian-Israeli situation, the voice of the Sunni-Arab coalition, and key partner of the USA, then today, the situation with the recognition of Jerusalem as the capital of Israel demonstrated that the Jewish state is able to dictate single-handedly conditions to the Palestinians. And on the whole, the new USA-Saudi Arabia-Israeli alliance is capable of solving its problems independently, without Jordan’s participation. Ironically, the country must seek new paths to survival and new alliances in the camp of former enemies. This is illustrated by the recent meeting of Jordan’s King Abdallah II bin Al-Hussein Al-Hashimi with the Iranian leader Hassan Rouhani, and also the increasing frequency of contacts with Russia. And Jordan does not intend to delay this process. Indeed the Hashemite monarchy does not wish to find itself in the role of a “junior partner” without a voice. The tension in relations with old allies was on clear display by an occurrence during the April summit of the League of Arab States, when Abdullah refused to shake hands with the Crown Prince of Saudi Arabia, Mohammad bin Salman. So, King Abdullah may now fully normalize relations with Assad’s Syria, Iran, and find a new patron, such as Turkey for instance. And, for just such independent behavior the IMF sent a reminder about who controls the government’s economic system, which assumes foreign financial assistance. At the same time, it should be noted that the ethnic problem also necessitates a sharp turn in Jordan’s foreign policy orientation. About two thirds of Jordan’s citizens are Palestinians, for whom discussions about their origins and nationality is not especially welcome, since their minds are still fresh with memories of 1970’s Black September events, when Jordan’s King Hussein cruelly suppressed the uprising of Palestinian militant organizations. It is no secret that Jordan is one of the Arab countries that relies on foreign aid. It takes advantage of generous grants from Persian Gulf countries. 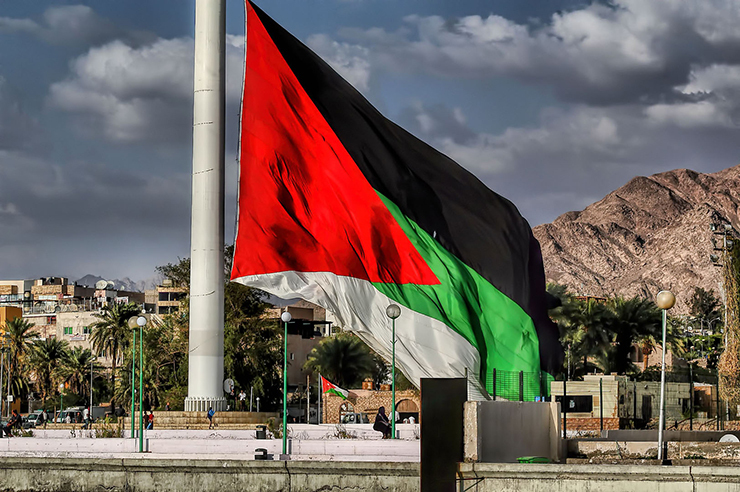 Behind the scenes in Amman, people talk about allied countries that refused to save Jordan’s government because of Jordan’s refusal to follow the American-Israeli-Saudi Arabian course regarding the Palestinian question. And now, the transfer of the USA’s embassy to Jerusalem further exacerbated the situation, placing Jordan in a difficult position. It is becoming clear, that the current government cannot pursue the previous course under the new situation, while maintaining internal security. The country has found itself alone facing regional and international pressure, as well as the pressure from the street. These are no longer simply protests against the law for an income tax increase, which the government sent to Parliament and refused to recall. The protests have become a court over the country’s government for judging its economic and political methods, in which the protesters saw very serious problems. Jordan’s King dissolved the lower chamber of Parliament under popular pressure and replaced the Prime Minister. But it is clear that this is not the last demand. The protest movement has widened and shifted from the capital Amman to the provinces. Observers believe that protest actions resemble the protests of 1989, and Jordan’s protest movement as part of the Arab Spring in 2011. Though these protests have an economic nature, many experts consider that a regime change in Jordan is a necessary political reform. Proposed solutions should not be specific from the economic point of view, but should move towards political reforms, so that the people can take part in their country’s politics and decision making. The question remains open for now: So – is this now the Arab Spring, or not?